More than 500 people in Kansas are waiting on a lifesaving transplant. 95% of Americans are in favor of being a donor, but only 52% are registered. 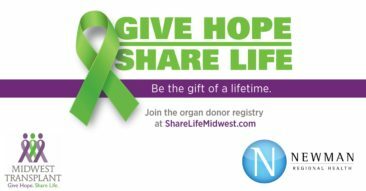 April is Donate Life Month were organizations across the United States join together to inform communities about organ donation. 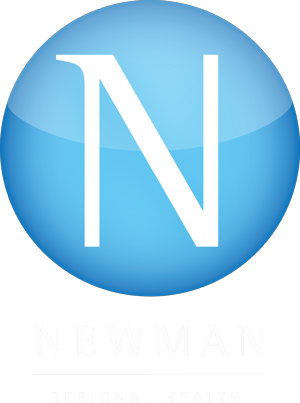 This year, on April 8th, Newman Regional Health will host representatives from the Midwest Transplant Network who will provide information on the donor registry and will also assist individuals who wish to join the registry. Nation-wide, more than 120,000 men, women and children currently await lifesaving organ transplants, and tens of thousands more await life-enhancing tissue or cornea transplants. By registering to be an organ and tissue donor, you can save as many as eight lives and directly improve the lives of up to 75 people through tissue donation. The registration table is located just outside the cafeteria. Visit with healthcare professionals and official representatives of the Midwest Transplant Network. – Sign up to give the Gift of Life!